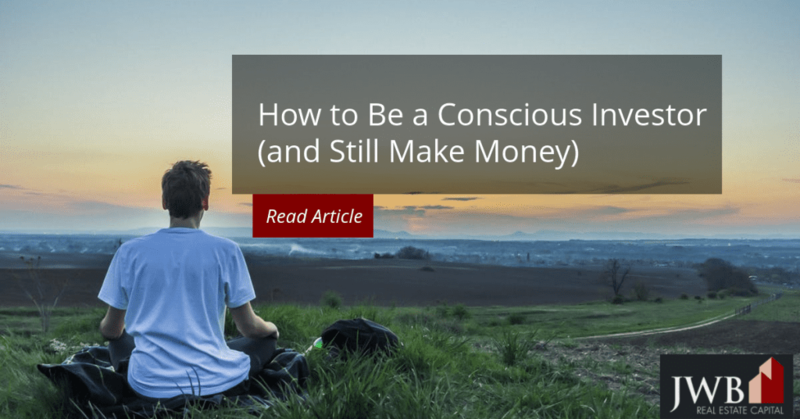 Can You Be a Conscious Investor and Still Make Money? If you’ve ever voted with your pocketbook, you’ve practiced a form of conscious investing. Buying products from one company over another based on their corporate behaviors and beliefs is no longer unusual behavior. Thanks to the instant retrieval our wired world provides, it’s possible to make investment decisions about a company’s performance and their actual behavior in the world of social giving or sustainability. An impact investor is one who strives to put money into companies that provide a good return on investment without exploiting people or the planet. This article from the New York Times gives you a more in-depth understanding of how conscious investing came to be, but here’s a short summary: Led by Jean Case who founded the Giving Pledge, more people are following her strategies by putting their investment dollars into companies who are committed to financial success as well supporting good works. As a spokeswoman for impact investing, Ms. Case reported that in the early years of impact investing, it was challenging to identify companies who provided profitability and a heightened sense of social or environmental responsibility. Consequently, she developed a process through which she and her advisors could find companies dedicated to both. First steps to find impact investment opportunities include identifying your personal values. Ask yourself what changes or causes you’d like to see. Some want to provide clean water in a third world country, while others want to guarantee educational opportunities for girls world-wide. Once you’ve chosen your priorities, turn to the companies who give to that effort. For example, a quick internet search revealed that Keurig, Amazon, Nautica, Trumark Homes and several others make contributions to alleviate potable water shortages across the globe. Sometimes it’s more difficult to identify how large corporations allocate their corporate giving. Instead, you may need to adopt a strategy that focuses on selecting companies that exceed others in increments rather than volumes. Big oil companies, for example, aren’t known for their march toward sustainability, but of them, Exxon-Mobil puts more emphasis on it than its competitors. HipInvestor.com (Human Impact & Profit) is an online company that makes it easier for investors to identify impact companies, municipal issuers and funds across the world. Theirs is a subscription-based service that offers a free trial for individuals and fund managers. Real estate as an investment sector hasn’t been widely associated with social or environmental activism, although plenty of builders contribute to or participate in Habitat for Humanity’s Home Builders Blitz. This is a week-long construction project to build or rehabilitate hundreds of homes held in a different city each year. In recent years, it’s easier to find builders who offer high efficiency homes that meet Energy Star or LEED (Leadership in Energy and Environmental Design) standards. The Jacksonville area has a number of builders who employ green building practices. Pulte Homes and Toll Brothers, both publically-traded companies on the Fortune 500 list, have histories of building high efficiency homes in the Jacksonville area. Individuals getting into real estate investment can support environmentally conscious purchases by either investing in rental homes with high efficiency ratings or rehabbing properties to make them so. Finding and supporting affordable housing is another way to consider impact investing in housing through donations of money or goods to local efforts. Combining an investment strategy to enhance profitability with companies that make a positive difference in the lives of others or the planet elevates it to a win-win move. You make it possible for the company to achieve its goals of financial gains with tangible benefits to the community.